Some two weeks ago we had a very good reason to celebrate at the 31Volts HQ. 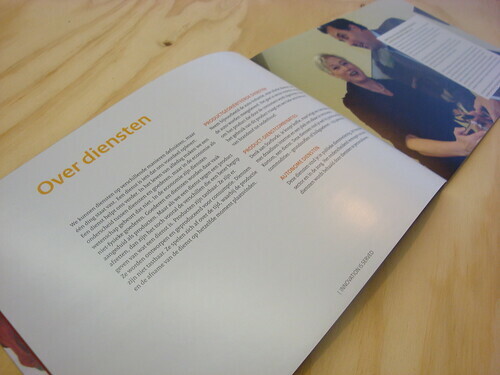 We finished a book for the Dutch Ministry of Economic Affairs. 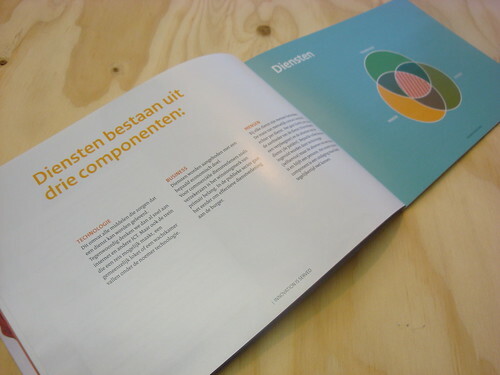 Considering the content, I think it’s fair to say that this is actually the first Dutch Service Design book. A result that we’re extremely proud of! 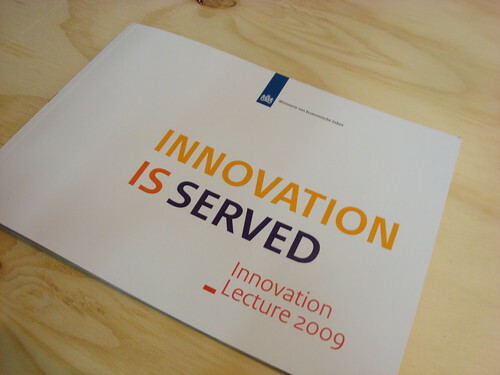 It all started when the Ministry asked us to write a book for their yearly Innovation Lecture. The Innovation Lecture is an event attended by some 150 leading representatives from the industry, academia, government and politics. 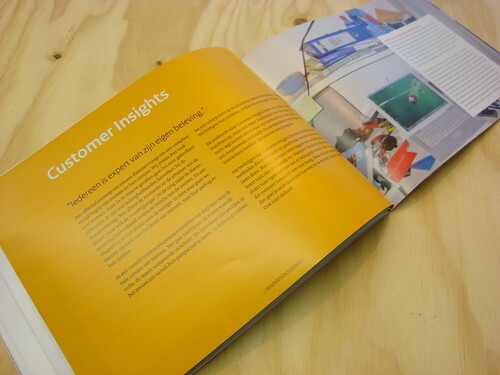 The goal of our book was to make service innovation accessible for a large audience and put design into the hands of people that can make a difference. 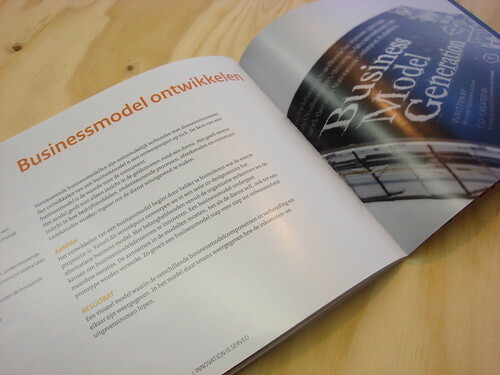 With this book we wanted to address the strategical aspect of service innovation and also give a practical hands-on guide. You can only talk so much about the need for service innovation, at some point you actually need to take action! 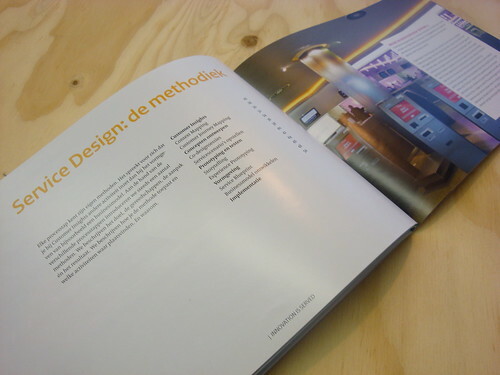 We spend almost half of the book to describe some typical service design methods like: customer journey mapping, co-design sessions, experience prototyping and service blueprints. 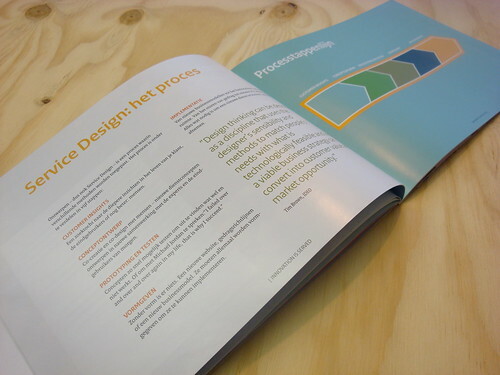 With this we hope that the reading will be able to practically envision how a service design project might look in his or her context. What makes this book even more special is the fact that it contains a foreword by Maria van der Hoeven (Minister of Economic Affairs) and Jeneanne Rae (the keynote speaker at the Innovation Lecture, you can download her presentation here). Both passionately embrace the cause for service innovation and elaborate on why especially creativity and design thinking play a vital role in this development. Hereby I would also like to express our warm gratitude to our friends at STBY, DesignThinkers, Engine and IDEO for providing industry cases we could include in the book! These cases make the book even more compelling to read. Now I hear you asking “where can I get a copy”? 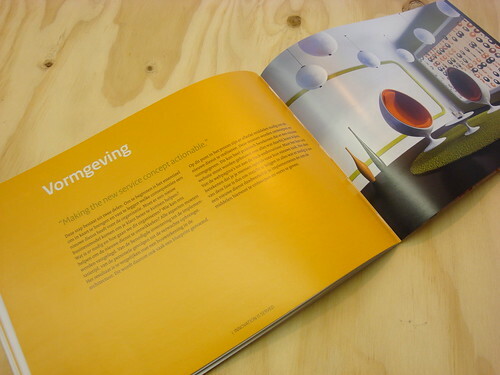 Well, currently only a limited printed edition was made available to the guest of the Innovation Lecture. We’re working on the paperwork to the PDF online as soon as possible. As we already got international requests for the content of the book we will be translating (parts of) the book so we can share it with all the non Dutch reading people out there. All in all we hope that this book has and will inspire more people to start designing service that people love and organizations are proud to provide! Well done guys…this looks great!